We're having a bit of a blizzard here, so Church got snowed out today. And a glorious Shabbat to you, too. 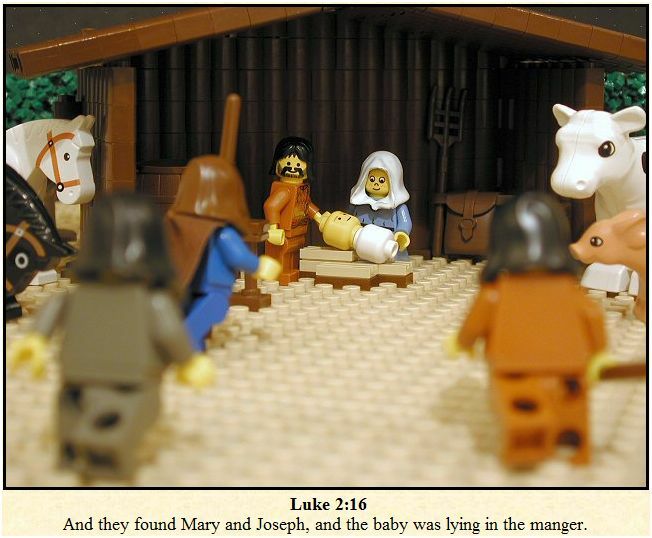 Perhaps I shall compensate for the lack of fellowship and community worship by studying my favorite translation of the scriptures: The Brick Testament, a Lego-ized pictorial representation of Biblical stories. Sometimes serious, sometimes satirical, it's difficult to discern what motivates the maker of this site. But it's all good fun. To be ecumenical, I should probably also give kudos to Assembling the Temple and Brick of Mormon, two other efforts to bring scriptural stories to life -- or, at least, to Legos.